This article originally appeared in the September/October 2017 issue of Museum magazine. For more than 25 years, the Americans with Disabilities Act (ADA), a watershed piece of civil rights legislation, has helped various public institutions, including museums, become more proactive about prioritizing accessibility for all visitors. An accessible museum—one without barriers to learning—enables differently-abled audiences to engage with its collections and programs. Accessibility accommodations can impact a range of visitors with special needs, including the deaf/hearing impaired and blind/visually impaired; those with limited mobility; and those with developmental, cognitive, or learning disabilities. The practical challenge lies in adapting programs and exhibitions or creating entirely new ways for visitors to enjoy the museum experience. organization described projects designed to enhance accessibility. Mass Audubon in Lincoln, Massachusetts, designed and implemented the All Persons Trail project, which provides nature-learning opportunities for visitors of all abilities. 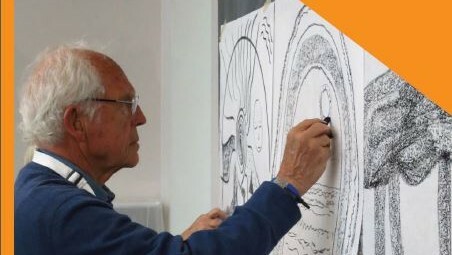 The Frye Art Museum in Seattle designed and implemented creative aging programs, which provide opportunities to connect with adults living with dementia. Museum of Science, Boston, implemented a National Leadership Grant for Museums-funded study on how to create more inclusive public programs to develop best practices for the field. The panel was introduced by Sandra Narva, senior museum program officer at the Institute of Museum and Library Services (IMLS). All of the projects received support from IMLS. The museum panelists described how they used distinct methods to push the boundaries of accessibility. Their projects directly support the creation of more inclusive environments and programs serving all ages, abilities, and cultural backgrounds. making nature accessible to all. As Massachusetts’ largest nature conservation nonprofit, it welcomes more than half a million visitors per year to its wildlife sanctuaries and 20 nature centers. Mass Audubon strongly believes that all visitors should have opportunities to directly connect with the natural world. In meeting that commitment, the organization has been improving accessibility at its wildlife sanctuaries. Now, sanctuary visitors with mobility and sensory disabilities can enjoy All Persons Trails—pathways that incorporate state-of-the-art communication and navigation tools such as customized rope guides, individualized audio tours, and specialized surfaces—all to create safe and profoundly enhanced outdoor experiences. All Persons Trails create more inclusive outdoor experiences, including tactile displays, audio interpretation, and accessible wildlife viewing areas, allowing access to individuals who have not traditionally had independent access to natural areas and interpretive experiences. Mass Audubon’s long-range strategic goals are to engage more people in protecting the nature of their communities and to strengthen the connection that all people have with the natural world through outdoor experiences, all toward building a conservation ethic. Mass Audubon designed and implemented an All Persons Trail project, which provides nature learning opportunities for those of all abilities. Photo courtesy of Mass Audobon. Mass Audubon has developed and now operates 12 All Persons Trails. For each accessible trail, Mass Audubon’s approach is to design and build a rewarding experience to be comfortably and safely navigated by all visitors, including those with mobility, vision, or other physical, sensory, or brain-based functional limitations. At the same time, the trails increase accessibility and enjoyment for visitors who are new to spending time on nature trails. These trails are designed and constructed first to physically meet or exceed anticipated ADA compliance; and are overlaid with universally designed interpretive features, including educational stops, wildlife viewing boardwalks and platforms, picnic and play areas, and navigation resources including audio directions, guide ropes, curbing, and handrails. These trails invite visitors of all abilities to experience the trail, and its interpretation, as independently as possible. In 2016, Mass Audubon created a comprehensive guidelines manual for developing and sustaining All Persons Trails and associated visitor materials to be used by people with a full range of functional abilities. It is publicly available for download on the Mass Audubon website. The Frye Art Museum, located in a neighborhood adjacent to downtown Seattle, opened its doors in 1952 as the legacy of Charles and Emma Frye, early 20th-century Seattle business leaders, and art collectors. The Fryes’ founding principles—visionary patronage and service to community—are sustained with free admission and free or low-cost arts engagement programs designed to contribute to a vital community of lifelong learners. Over the past ten years, the Frye has focused its programs on the needs of people living and working in the neighborhood, particularly older adults living with dementia, their care partners, and the healthcare community. Several senior residential communities and three hospitals reside within a few blocks’ radius of the museum. Frye Art Museum designed and implemented creative aging programs which focus on providing opportunities to connect with adult learners living with dementia. Museum of Science, Boston, implemented a National Leadership Grant for Museums-funded study on how to create more inclusive public programs to develop best practices for the field. Photos courtesy of the Museum of Science, Boston. The museum created a diverse range of creative aging programs to serve the needs of adults with younger-onset and early to mid-stage dementia. Here:now is an arts engagement program for people with dementia and their care partners to enjoy a creative and relaxing afternoon together. Visitors can register for a 90-minute gallery tour and/or a six-session, two-hour class that combines gallery tours with art-making. The museum educator leading the tours uses a conversation- based approach to teaching that encourages observation of artworks and dialogue without demanding factual knowledge. Recognizing that movies help connect people with deep-rooted emotional memories, the Frye offers Meet Me at the Movies, a quarterly interactive film program at the museum and at two suburban King County libraries. Classic and contemporary film clips are screened and interspersed with facilitated discussion with the audience. A monthly Alzheimer’s Café features a short talk in the galleries followed by relaxed social time with food, music, and song in the museum’s café. All of these programs intentionally serve the care partner as well as the person living with dementia by providing opportunities for care partners to have a respite from their responsibility as caregivers and for strengthening the relationship by having new experiences together. For adults living with more progressed dementia who cannot physically come to the museum or do not want to leave their home, the museum offers Bridges, an arts engagement program that sends a teaching artist and art materials to community care facilities. Trained volunteers assist older adults one-on-one in creative art-making sessions guided by the teaching artist once a week for six weeks. The program culminates with an art show for all residents and their families and for staff. The Frye also offers Bridges in private residences for families caring for their loved ones at home. A teaching artist goes to the home over three consecutive weeks with an activity that is specially designed for the person with dementia’s interests and abilities. Art materials, lesson plans, and other resources are left at the home so that a family member can carry on after the final visit. The Frye is also addressing the professional development needs of medical and social service workers through research and publications, annual conferences, workshops, and lectures on the topics of art, creativity, aging, and dementia. Its publication Creative Aging is available through the Frye Art Museum store. Creative aging programs are developed by Knecht and reviewed by an advisory committee of leaders in the fields of gerontology, creative aging, memory care, and community advocacy. New offerings are carefully researched and piloted as staff expertise is developed and funding is identified. Programs are free with the exception of conferences, for which a nominal fee is charged to cover the expenses of bringing notable speakers to Seattle. Since the programs’ inception in 2010, nearly 4,700 people have participated in one or more of the offerings. The Museum of Science (MOS), Boston, spans a dam across the Charles River, linking the cities of Boston and Cambridge. It serves the communities of those cities and beyond through outreach programs and STEM curricula that are used in schools throughout the country. More than 1 million visitors per year visit MOS, and more than 300,000 attend the museum’s in-house programs. Museum of Science programs and exhibits are designed with “free-choice” learning in mind, inviting learners of all ages, abilities, and interests to sample what engages them most. Programming in the exhibit halls through stage presentations, highly interactive themed spaces with dedicated staff, and one-on-one interpretations (exhibit hall interpreters) address the various ways visitors engage with free-choice learning. MOS is committed to developing STEM exhibits and programming with the understanding of disability as a social construct and embodying the principles of universal design. Disability as a social construct is a concept of disability as something largely dependent upon norms in social interaction, infrastructure, education, etc. that may raise unnecessary barriers to full participation for those with disabilities. The museum has incorporated ideas for modifying or removing these barriers formally into its exhibit design for more than 25 years, and informally into programs for the last 15 years. In 2011, supported by an IMLS “Sparks” Ignition Grant, the museum’s live presentations staff, exhibit hall interpreters, and representatives of the research and evaluation department joined with consultant advisors from across the spectrum of disability communities to form a “community of interest.” The advisors were specialists from various sectors of the disabled community, with experience working with museums around issues of inclusion. The goal was to incorporate the use of reflective practices for staff and to pilot a program design model that embeds universal design principles into museum programming. The five staff members selected for the project were identified by the institution as “agents of change.” These are experienced senior staff members who are respected as natural role models for best practices in science program development and implementation. Participants expanded their knowledge of the field through journaling and shared advisor/staff team discussions of the latest research into the nature of universal design as it applies to museum programming. Over a three-month period, staff worked in pairs documenting their programs and noting successes and challenges, especially when working with visitors with disabilities. The staff pairs read each others’ journals offering feedback and problem-solving ideas. The entries and feedback were also shared with advisors who added another layer of expertise to the discussion while gaining knowledge of the particular challenges faced by presenters when delivering science content in public settings. Drawing upon the diverse experiences of disability revealed in the reflective practice, the team crafted the scope and content of a week-long training workshop in Universal Design for Museum Programming (UDMP) for the museum programs staff. The workshop format, borrowed from the world of architecture, was an intensive design charette. Five exemplary museum programs were presented each morning, discussed with staff and advisors, and augmented by staff/advisor teams with UDMP upgrades. The upgraded programs were represented in the afternoon. Museum of Science live programs occur on stage venues daily at frequent times for large audiences. Exhibit Hall interpretations are cart-based activities that allow one-on-one visitor/educator interaction. Programs occurred in their usual public settings in order to observe the interplay effects of environment and visitors on program delivery. On the final day, the newly augmented programs were presented to the general public and focus groups of visitors with disabilities. The focus groups were then surveyed and interviewed by researchers to determine the effectiveness of the universal design changes to programs. materials. As per our hopes for the long-term impact of this project, these universal design approaches have become an effective staff standard throughout MOS programs. What are some common approaches used by these three organizations to increase and enhance accessibility to their programs and services? Each uses an inclusive planning process with staff, community advisors, and other experts giving input and testing ideas before final program implementation. Each follows best practices in the field, uses the latest research, and shares their work through publications and presentations so that other museums and organizations can learn from their challenges and successes. And, each has made accessibility a priority of their institution, devoting resources and staff to ensure long-term and sustained impact of their work. For examples of IMLS-funded projects that have creatively and effectively expanded community outreach, visit imls.gov/issues/national-issues/accessibilitymuseums-and-libraries to learn more. AAM has resources at aam-us.org about-us/what-we-do/resources on-diversity-equity-accessibility-inclusion. Jill Rullkoetter, former senior deputy director at the Frye Art Museum in Seattle, is currently planning and consulting in community engagement, education, and public programs in the arts. Kris Scopinich is director of education at Mass Audubon. 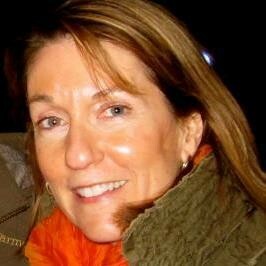 Sue Stoessel is education associate at the Museum of Science, Boston.